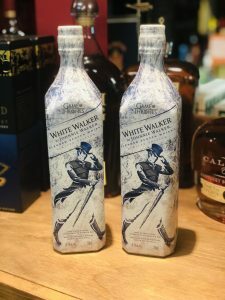 White Walker by Johnnie Walker, a new blended Scotch Whiskey that ties in with HBO’s Game of Thrones. This 41.7% ABV is designed for serving from the freezer. The bottle features temperature-sensitive ink that displays a message!